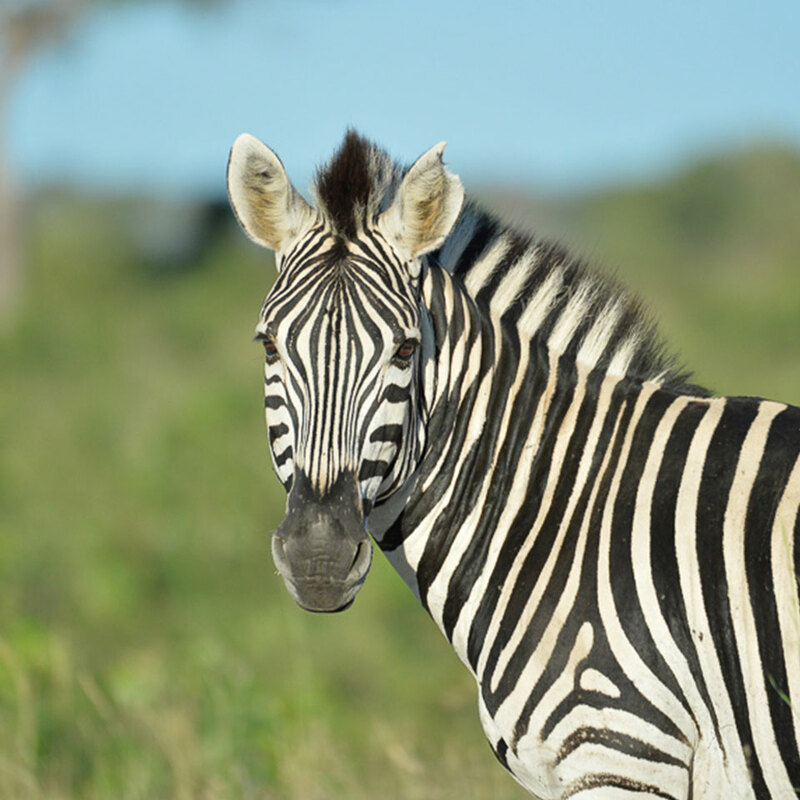 No bushveld setting would be complete without the black and white stripes of the zebra. Although there are 3 different types of zebra (namely Plains, Mountain and Grevy’s), the one synonymous with South Africa’s grasslands (and the one you’ll see at Muluwa Lodge) is the Plains zebra. Their stripes are as unique as fingerprints – no two animals bear the same markings. Zebra are highly social and can be found in large herds. Within these herds, smaller groups called Harems exist. These are family groups which consist of one stallion and several mares along with their foals. Zebra are known to mingle with other grazing wildlife, most commonly wildebeest. Although these 2 animals graze on the same grass, they have a particularly symbiotic relationship as zebra prefer the top-half of the stalks with the wildebeest preferring the bottom half. Did you know? Zebras communicate their mood with their ears. If they’re calm, their ears stand straight up. They push their ears forward when frightened and pull them backwards when they’re angry.